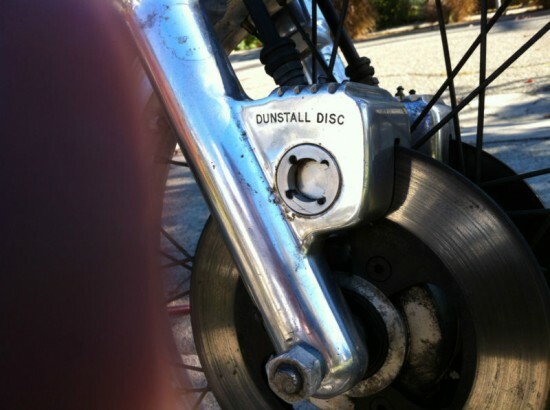 For me the Dunstall body parts are kind of a like or hate situation. Some of them are just awkward and the lines have absolutely no flow at all. That is not the case with the bike. This is one of the earlier designs when things were more round and less angular. It’s not often you find a nice “rider” Norton with a Dunstall kit. Usually I see the body parts for sale or a complete museum piece with Dunstall parts. That’s why I’ve taken interest in this bike. You can have a unique piece of motorcycle racing history with the option to ride it. The bike seems to be mechanically sound even though its a little rough in looks. I’d take that over a pristine unridable museum piece any day. For sale is my Norton Commando 750 Dunstall Cafe. I’m selling this very reluctantly, but I need the space and cash for my next build. Background: I purchased this 2+ years ago from MA and had it shipped to CA. It sat for 5+ years. The top end was refreshed by a Norton Mechanic and the transmission was recently redone, a hydraulic clutch from Colorado Norton Works was also installed which makes it very smooth to operate. Electronic ignition is also in it and it purrs at 900 rpm. 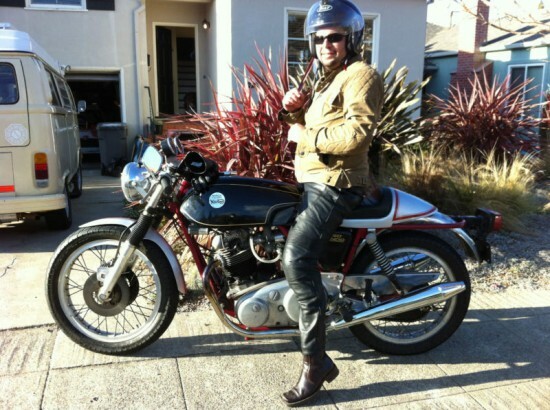 The seat is from England and is a cafe style – worth about $500- the gas tank is fiberglass, black MANX style from Clubman Racing worth $500 ish- if you can find one! Borani wheels, brand new front brake pucks made to order. 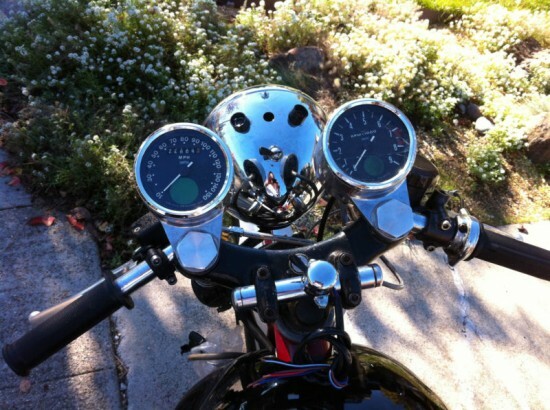 Carbs rebuilt 12 months ago – original Amals. I have several bikes and this one is the one that turns heads when the sound goes by or when people walk by. Like most british classic, it drips a small amount of oil but nothing to worry about. The isolastics have been tuned also. The rev counter has a crack in the glass- which I never replaced. Front forks rebuilt, brand new battery with tender installed also. If your interested but have never owned a Norton- please do your research, the components alone a worth quiet a bit. Dunstall was a specialties performance house (see http://en.wikipedia.org/wiki/Norton_Dunstall ) The bike also has the original Paul Dunstall rear sets foot rubbers. The bike starts on the 3rd to 7th kick which is normal. 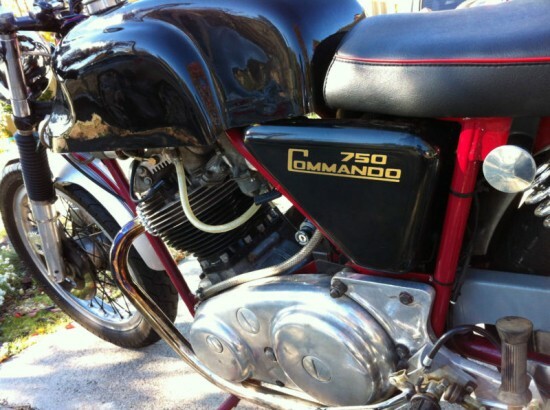 This is a great chance to own a Norton Commando Classic with rare Dunstall components, amazing seat, MANX tank and a beautiful red frame. Please check out the pictures and videos, the picture with me in it shows the old tank which unfortunately was eaten by the California Ethanol in the fuel here- I will include it if you really want it, the silver seat I will also include. Tank eaten by ethanol, can we stop putting food in our fuel? Also, can we a start a campaign explaining to owners of rare fiberglass tanks that ethanol will ruin them so please stop putting modern fuel in your tanks? Get your next rider right here.